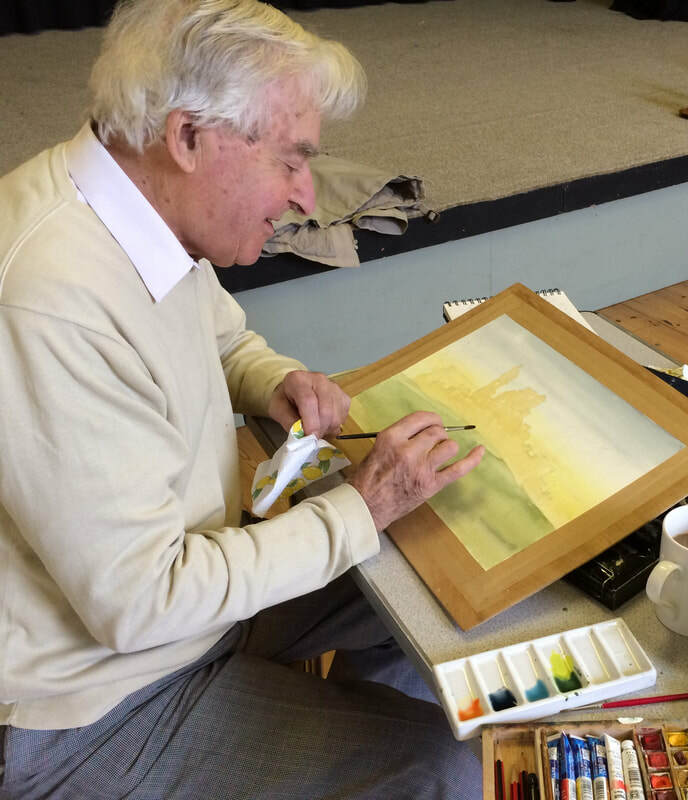 ​We are a friendly informal group who simply like to paint or draw. ​All abilities & ages are very welcome. Bring your own paper/ canvas/ paints / pencils or whatever you would like to use. ​The Art Group operates during autumn winter & early spring & is closed during late spring & summer. Please check the bookings calendar or phone us to check dates. ​​We are a non profit making club, so costs are very low. We simply divide the cost of hiring the hall between members. If we have say 8 active members then the cost works out around £2 per week per person during Autumn Winter & Early Spring. There is no charge in late spring & summer when we do not operate. We do not have an official teacher, but if required you can always find friendly help & advice from other members. We usually have a cup of coffee or tea, often with a biscuit or two. Some members take turns to bring these from home, but there is no obligation to do so. or just pop in during one of our Monday morning Art Group meetings. You are very welcome to come & see if our club suits you. There is no charge for your first day, tea or coffee included.